This DVB-T2 USB TV Stick offers instant HDTV on your PC. Plug in the USB stick, connect the antenna and you’re ready to go and receive the new HD Freeview stations in the UK. 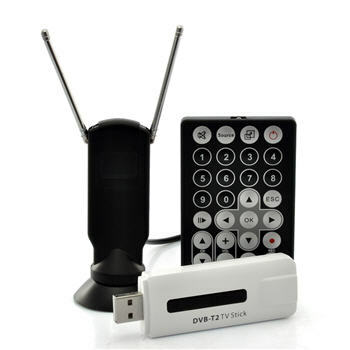 Record your favourite shows or schedule future recordings with the DVB-T2 USB TV Stick.